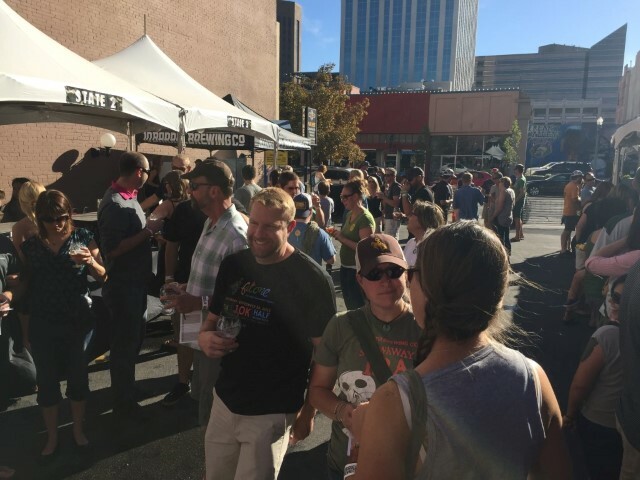 As the greater Boise area continues to develop as a source for local craft beer, we’re seeing our beer festival’s grow and mature. Case in point, if you didn’t make it down at some point to Alefort, part of the Treefort Music Festival, you definitely missed out and your tastebuds may never forgive you. 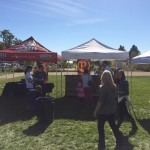 All of the local players that you would expect to find (Meriwether, Cloud9, Sockeye, Slanted Rock, The Ram, Payette, Woodland Empire, EDGE, Bear Island, Crooked Fence, Powderhaus, Barbarian, Longdrop, Highlands Hollow, County Line and Boise Brewing) were on hand along with regional, representation from New Belgium and some outside sources (national and international) courtesy of Bittercreek, Bier:Thirty, The Front Door, and Prost. 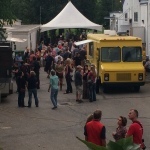 To say that this was an expanded event over #Alefort2015 is an understatement and then some. 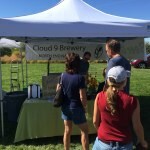 The brewery tent was easily 3 or 4 times larger than the year before and included secondary tent for some beer panels and belly dancing. I was more focused on drinking the beer personally, but when I stuck my head in the second tent there was a belly dancer on stage doing her thing. 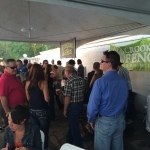 Bottom line, there was thankfully a lot more space to hang out, drink beer, and meet up with fellow beer lovers…. 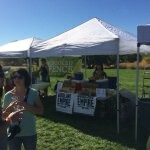 Beer festivals! These two magic words can make a beer lovers knees quiver. 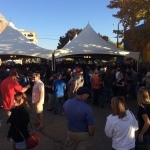 Sadly, in Boise, we’ve been without a honest to goodness beer festival for the past few years as costs, permitting and other issues with the city brought about their untimely demise. 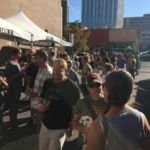 Last year, I was fortunate enough to attend (and volunteer) at the inaugural Boise Brewing Hoptober Freshtival (read about it here). 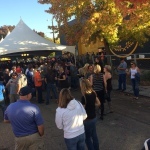 The initial event in 2014 brought out mostly local brewers to a central location (5th & Broad St) in front of the Boise Brewing brewery. 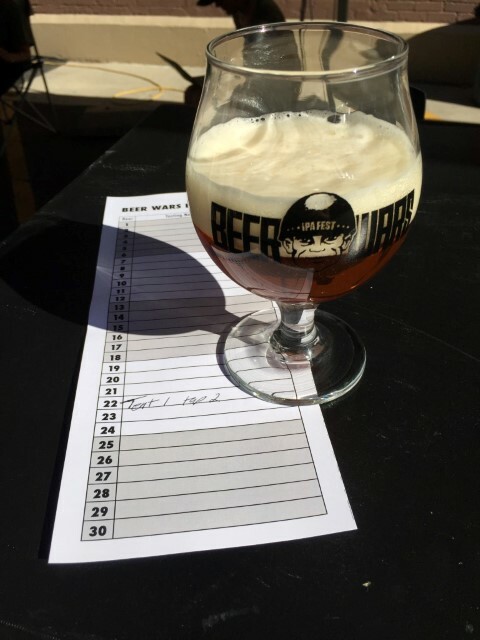 Beer lovers heard the call and purchased their $25 tickets and received a taster mug (roughly 5oz) and were treated to unlimited tasters until the beer was gone or until 8pm. 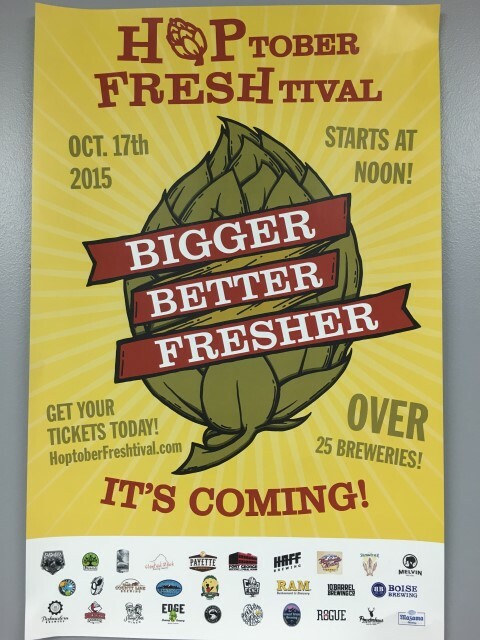 This year, the Hoptober Freshtival was bigger and better in all the ways that count. Instead of 13 breweries we had 25+ for a total of more than 50 tap handles to choose from. 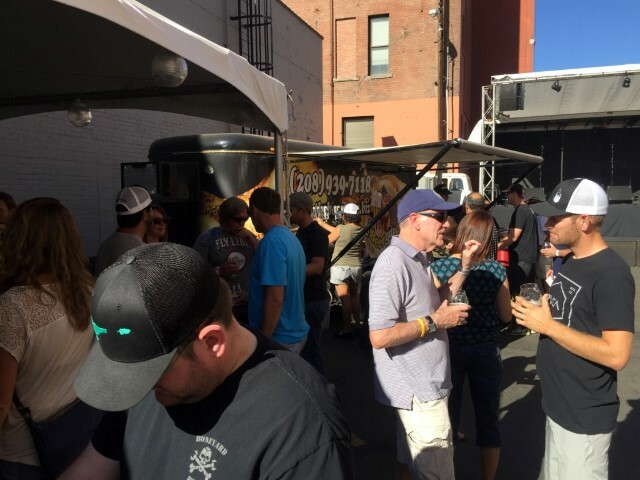 All the local players were on hand and some regional breweries made the trip up as well, including Fort George, Deschutes, & Mazama Brewing. Sadly, we did loose the “all you can drink” component due to permitting changes with the city, but that may have been for the best. 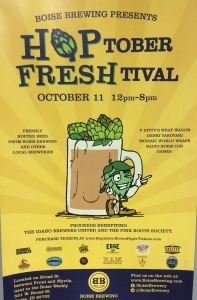 Who wouldn’t get into trouble at an All You Can Drink craft beer event? 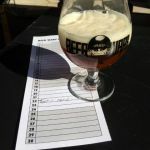 The new system offered attendees their taster mug and 20 tickets which, if fully redeemed, would equate to 80+ oz of beer. Still, a pretty damn good deal for a $25 ticket ($30 at the door). Once again, Broad Street between 4th & 5th was blocked off in front of Boise Brewing. 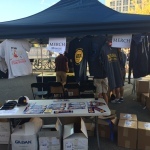 At noon, with people lined up along the fence, the gates opened and people started filing inside…. 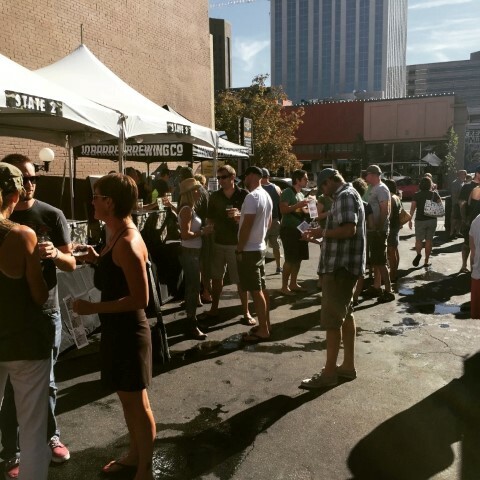 On a surprisingly hot day in late September 2015 10 Barrel Brewing put together a blind IPA tasting event dubbed “Beer Wars” in the parking lot behind the brewery in downtown Boise. 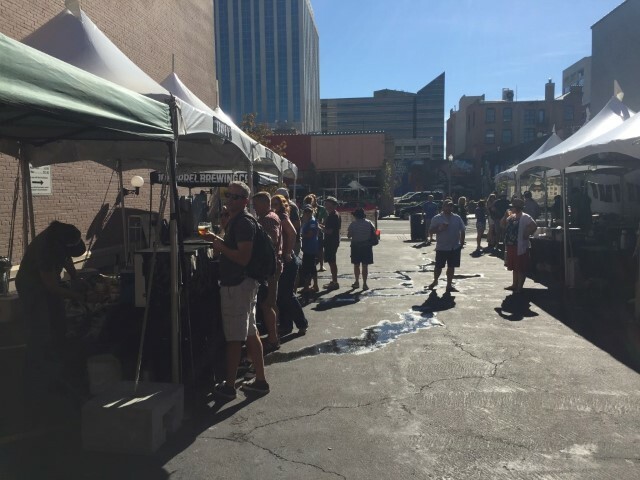 While you may not be expecting to melt into the asphalt under a blistering afternoon so close to October; those in attendance were rewarded for their stamina and perseverance with a wealth of IPA goodness from around the West. Now, I was expecting that the beers would be hidden, but I didn’t expect to be in the dark on which states the taps were from. The scenario that we found upon entering after purchasing our tulip and tokens were five stations, each with six tap handles with absolutely no identifying marks. The only information given to us was that each station represented a state. The states on hand were Washington, Oregon, California, Boise and last (but not least) the rest of Idaho. 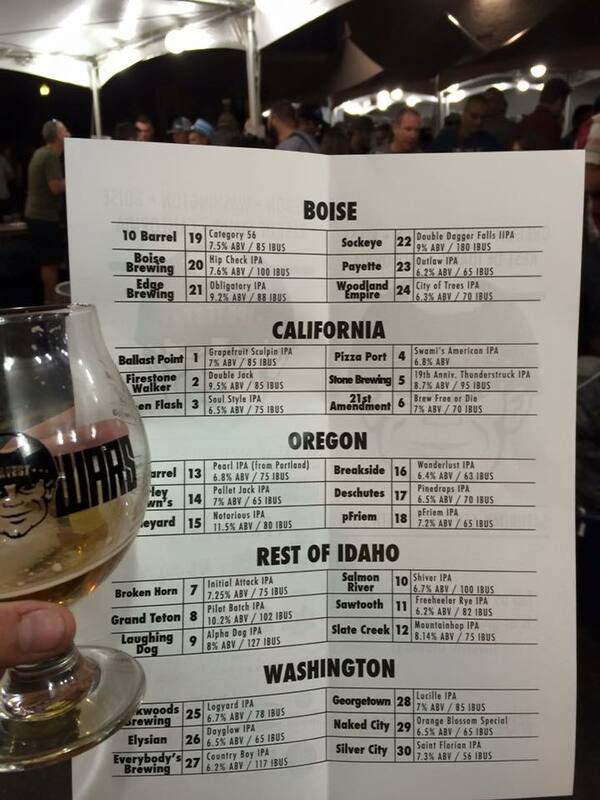 As a lover of beer this would have been a wonderful adventure to try to discern the various states and narrow down the respective beers from each had I been free to stay for the entire event. Having only an hour or so to spend at Beer Wars due to other commitments, this completely blind scenario was disheartening. 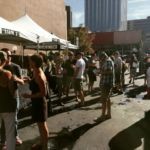 I love our Boise & Idaho breweries with a passion, but it’s not every day that you can stroll up and grab Barley Browns, pFriem Family Brewers, Breakside Brewing, Backwoods Brewing, Silver City, Naked City, Green Flash, Ballast Point, 21st Amendment (just to name a few) on tap and at such a reasonable cost. 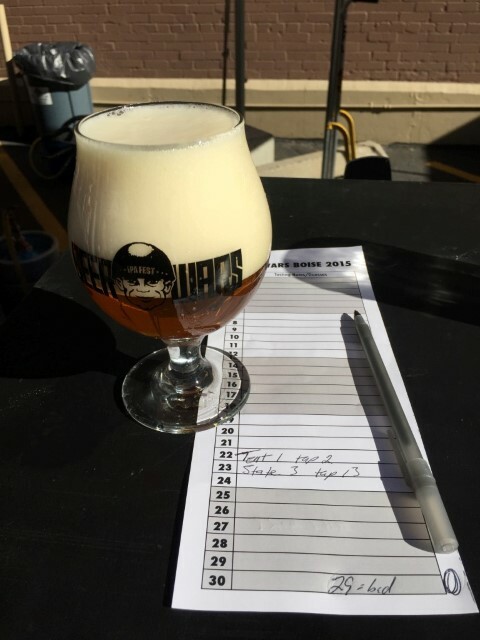 I wanted to devote my time to exploring those beers that are harder to come by on tap here in Boise. But, what are you going to do. The first order of business was to do a slow pass to see if there was any visible clue that could help my case. On this walk about, I caught sight of part of an uncovered keg which was plastered with a large Barley Browns sticker. Win! With no other visual clues I decided to pony up to what I was now sure was the Oregon tent and order my first beer. Beer in hand I retreat to a table and strike up a conversation with a few other beer lovers to compare notes and sip my beer. 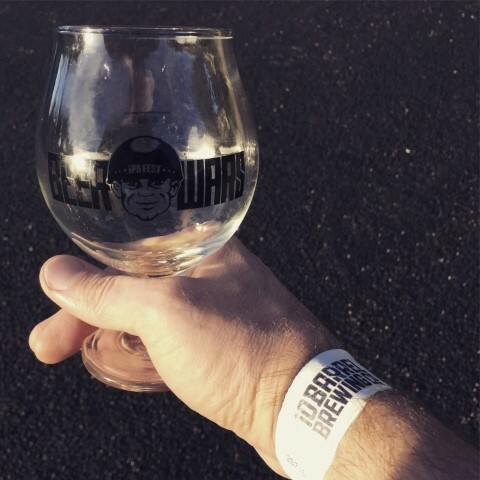 During my brief stint at beer wars I must say I met some great people, drank outstanding beer, and had a hell of a good (although far too short) a time. 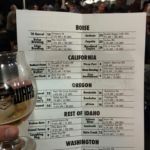 To my, and my tables credit, we were able to identify the California, Washington & Oregon tents… unfortunately, I was totally off on all my tap handle predictions. When you’re playing for these stakes though, even when you loose you win. 🙂 Beers that I ended up putting my hands on were Firestone Walker Double Jack, 21st Amendment Brew Free or Die, 10 Barrel Pearl IPA (From Portland), Breakside Wanderlust IPA, Boneyard Notorious IPA. 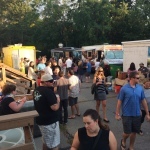 As the evening progressed the crowd increased substantially, at 7pm, all taps were revealed and the thirsty group gathered was able to drink to their hearts content, now knowing exactly which beers they’re drinking. I also heard that there were protesters, why I can’t imagine, across the street. 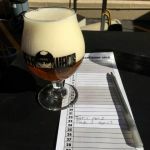 Not that I need an excuse to drink good beer, but events like these seem to have a strong draw and give craft beer lovers around the valley the chance to get together, explore beers both local and regional while comparing notes and sharing beerventure tales. 3:10 and the line is almost to the corner! 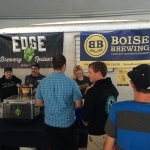 On July 18th 2015 the brewing community in and around the Treasure Valley came together to support Kerry Thomas, head brewer at EDGE Brewing in Boise who was injured in a boil over accident. 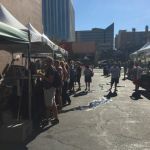 It has always been my impression that the competition in craft beer, at least here in the Treasure Valley, is pretty good natured and generally friendly. The wagons were circled to support one of their own from the get go. What better way to spend 8 hours on a Saturday than at a street party surrounded by a few thousand beer lovers, 13 local breweries, food trucks ( P Ditty’s Wrap Wagon, Genki Takoyaki, Mosaic World Wraps), and music (Radio Boise DJ’s) on a mostly sunny afternoon. That was exactly the scenario that awaited the (hopefully first annual) Hoptober Freshtival attendees on October 11th at Boise Brewing in downtown Boise on Broad street.Admission to this all day beerbration (pretty sure I just made that word up) was a mere $20 in advance ($25 at the gate). At the gate each guest was issued a 4oz mini-mug. 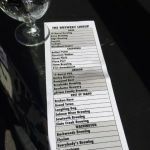 This mug, which was really more of a golden ticket, could be taken to any of the brewery fill stations on-site for a fill of magical elixir and the choices were fantastic. 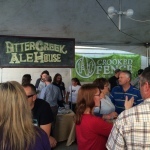 With 13 different breweries on hand, many having 2 beers to choose from, choices were never in short supply. 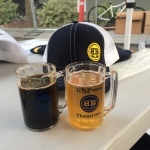 On hand were beers from (in no particular order) 10 Barrel Brewing, Sockeye, Crooked Fence, Sawtooth, Woodland Empire, RAM, EDGE, Highlands Hollow, Salmon River, Portneuf Valley Brewing, Payette, Grand Teton, and of course Boise Brewing. Stouts, ales, saisons, and IPA’s were all easy to find, just to name a few. 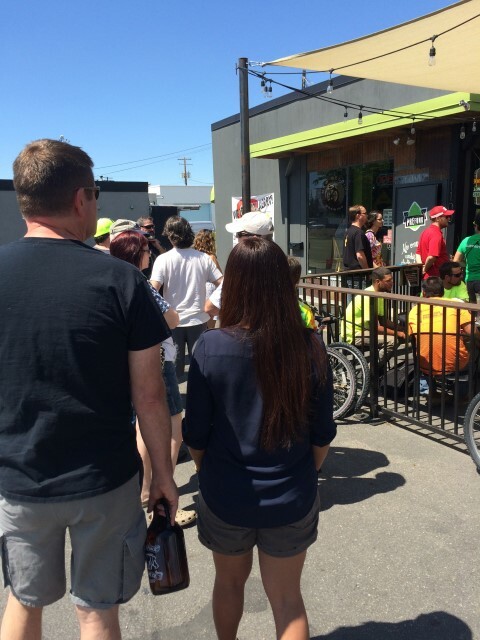 While it was almost impossible to find a beer station that didn’t have a line, things were orderly and moved along at a brisk pace. Patrons waiting in line were cheerful, friendly and frequently chatting about what they had already tried, were hoping to try, or looking for advice of the like.Unfortunately, I missed out on the first few hours due to other commitments, but it was definitely still going strong when I rolled in at five o’clock. 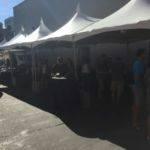 Having been on hand for the Boise Brewing grand opening earlier this summer (another street party), I knew that this would be a must attend event. 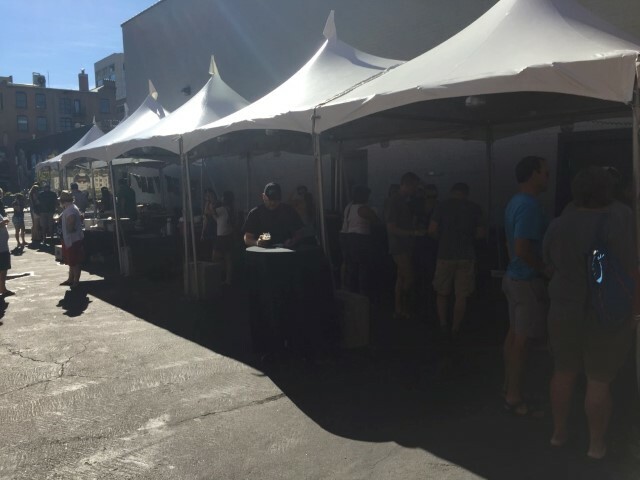 To put the crowd and their beer drinking prowess into perspective, in total 35 kegs were consumed during the event and from what I could see I think the first breweries didn’t start to run dry until after 6 which I couldn’t help but find impressive. Having been behind the scenes, I know that more than one brewery on hand had more beer brought in to keep their taps flowing. As the evening drew to a close, around 7:45pm what seemed like a micro-burst brought in a bunch of wind and rain which wrecked a little bit of havoc but seemed a fitting way to close out a wonderful fall evening in downtown Boise.With the massive influx of new community micro-breweries that have started to spring up in the greater Boise area, it is fantastic to see events like this come about as a beer lover. My only regret is that they don’t come along more often. Seriously, talk about beer paradise! 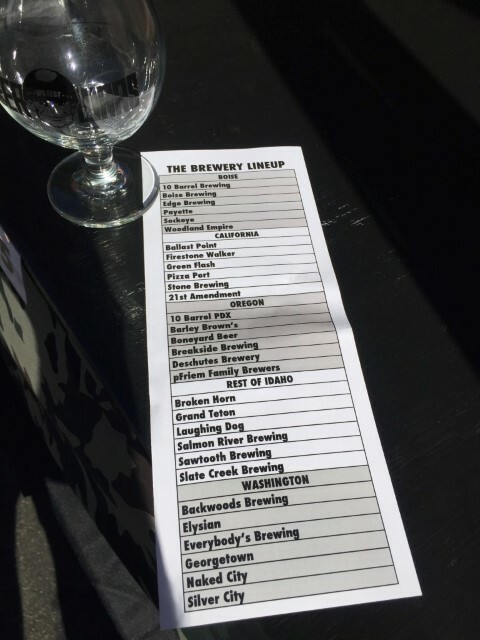 Thirteen breweries that were all you can drink for 8 hours for a mere $20? Find me a better event anywhere if you can, because that’s where I want to be. 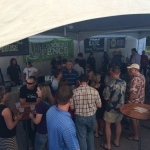 As the North West continues to grow into a bit of a beer mecca it’s very welcome that this culture has expanded into Idaho after having such a successful incubation in our neighboring states of Oregon and Washington.Proceeds of this event benefitted the Idaho Brewers United and the Pink Boots Society. 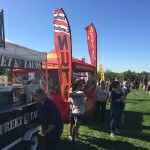 Boise Brewing has a great selection of photos from throughout the event that are worth checking out as well. 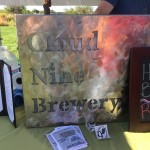 The Botanical Harvest festival, which I don’t believe is a new event, did feature 7 local breweriess this year which all contributed a special small batch brew featuring an ingredient provided by the botanical garden. 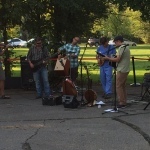 This was a very family friendly event, which as a father of 2 I very much appreciate. It’s hard to be a beer lover with kids sometimes when most events cater only to the over 21 crowd. 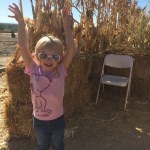 While some events may allow entry to kids, they don’t really cater or foster a “family friendly” atmosphere. At least not an environment I would want my kids at. 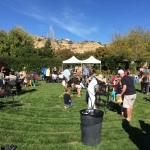 This event was the exact opposite in that it was 100% family and child friendly, they just happened to have a small beer garden with great small batch beer brewed by 7 different breweries (Sockeye, EDGE, Cloud9, Sawtooth, Payette, Woodland Empire & Crooked Fence). Aside from the beers, which were fantastic, there were lots of free activities to wander between like hay rides, cornhusk people craft (ok they kinda look like corn husk voodoo dolls…), face painting, trebuche pumpkin launching (courtesy of the Discovery Center of Idaho), food trucks (Calle 75 Tacos, Willowcreek Grill, & Riceworks, live music, an artisan market, and of course pumpkin patch/pumpkin painting and tons of photo opportunities. 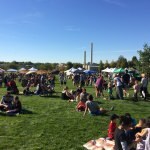 I am hopeful that they addition of the local breweries and their inclusion of ingredients from the gardens will continue to be a key component of future fall festivals. 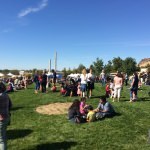 If you find yourself in Boise during the Idaho Botanical Garden Fall Festival, definitely check it out and don’t hesitate to bring the entire family! 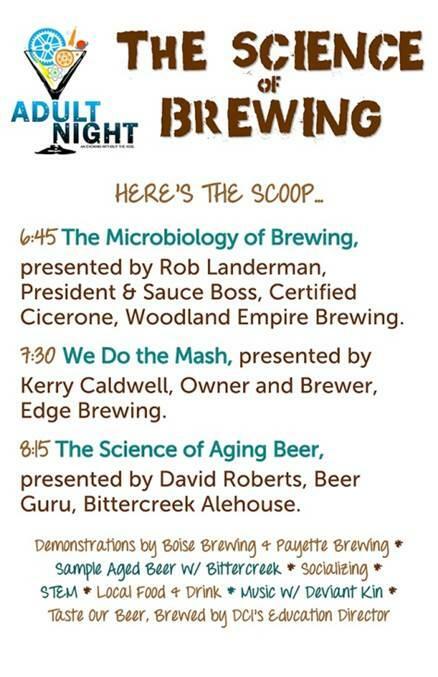 The Discovery Center of Idaho is a hands on science museum located in Boise, Idaho and tonight they had an “Adult Night” focusing on the science of brewing. 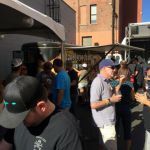 What better way to learn about beer and brewing than with 4 local breweries serving a few of their popular bews, a few food trucks to keep everyone fed, and brewmasters with exhibits and small batch examples of some of the crazy things you can do with beer. I can safely say that I never imagined that I would have a peanut butter and jelly porter, but I did, and it was a remarkable experience. Not that I would set out to buy a peanut butter and jelly stout mind you, but that one could capture a peanut butter and jelly sandwich flavor in a beer was impressive. Joining the regular exhibits, and the currently on display Leonardo DiVinci models were brewing exhibits from the public library which featured an impressive selection of beer/brewing books focusing on the North West (which were available for check out which I thought was even more impressive… I walked out with 2). There was also a hops tea station where not only could you gather to learn about how different kinds of hops can influence beer making, but you were able to sample a hops tea (think boiling water poured over ground up hops and steeped like a green tea). While meandering from one presentation to another you couldn’t help but strike up conversations with other beer lovers about everything from beer culture, brewing, and the wonderful growth that we’ve been seeing in the Micro Brewing scene here in the Treasure Valley with beer lovers and those doing the brewing themselves. The crowd was friendly and engaged, which always makes for a pleasant evening with strangers bound by common interests. 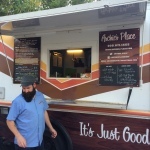 Aside from great beer (Boise Brewing, Payette Brewing, EDGE Brewing, & Woodland Empire) and a variety of amazing food (Riceworks, Archies Place, B Town Bistro) (if you happen to be in Boise you should hunt town Archie’s Place food truck and get your grub on) there were also presentations facilitated by local brewers about the Microbiology of Brewing, Science & Aging of Beer, and Mash. Honestly, what could be better than an evening in a hands on science museum where you can play with everything while eating good food, drinking great beer, and learning some fascinating info about the creation of the magical life sustaining elixir common people refer to as “beer”.